My kids and I love birding! 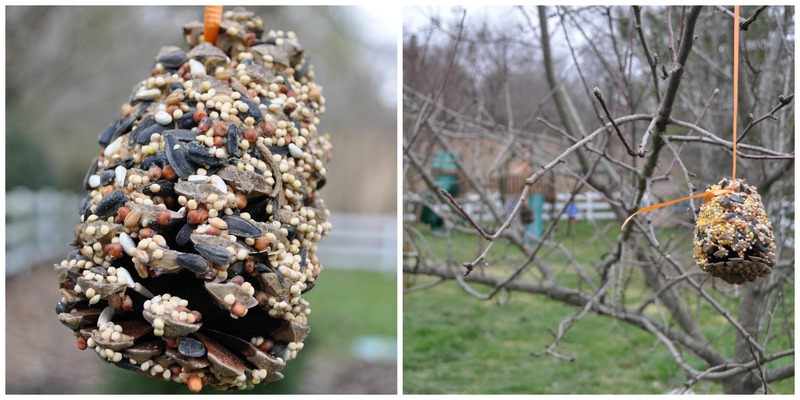 I touched upon backyard bird feeders in this post awhile back, but I thought it would a good idea to expand on that with some product recs. 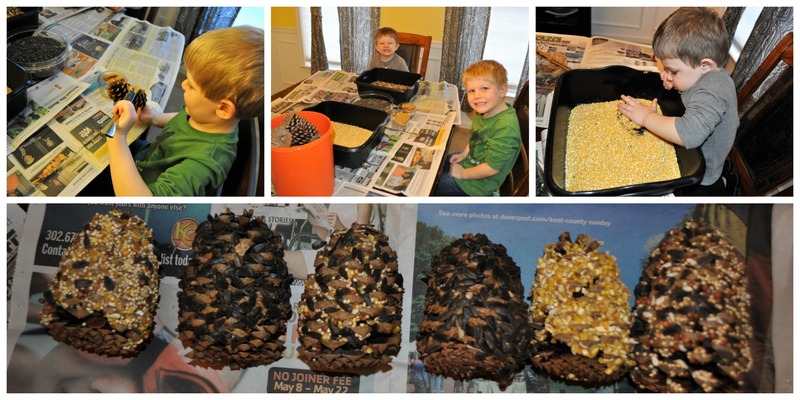 and our own pinecone birdfeeder tutorial. Clean your feeders regularly. Only feed suet when it’s cool outside. If you have large picture windows, place some stickers/vinyl decals on them to avoid window strike injuries and deaths. DON’T feed bread. DO feed fruit, cracked corn, cornmeal, peanut butter, birdseed, and other nuts, etc. 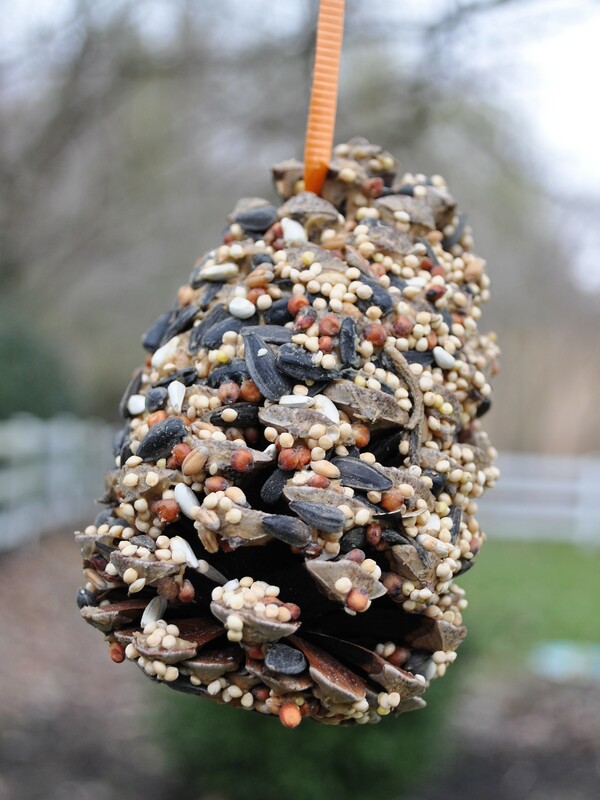 A suet feeder is a must if you’d like to attract woodpeckers. If you find that your large capacity feeder is not being emptied very quickly, you may want to downsize so that the seed doesn’t get moldy. You’ll have to take the screen out of your window to be able to stick it on to the glass, but you won’t be opening the window during the winter anyway. Be aware of possible window strikes depending on the size of your window, and visibility of the feeder. We’ve never had an issue with window strikes, but it’s just something to be aware of. This type of feeder will give your kiddos an up close and personal view of their feathered friends and will drive your cat crazy. You can fill this container with up to 5 pounds of seed and pour right in to your feeders. This is great for feeders with narrow openings or even when the littles want to help and you don’t want seed spilled all over the place. Despite the fact that we have all of these feeders, I still love the idea of getting the boys even more involved with feeding and what better way to do that than with a messy activity? You’ll need pinecones (duh), string or wire, peanut butter and birdseed. Cornmeal, nuts, dried fruit, cracked corn, are all optional add ons. Put peanut butter on the pinecone. Roll the pinecone in birdseed. Now you could mix things up a bit if you choose to put your string on first, or if you’d like to add cornmeal to the peanut butter before spreading (1 part cornmeal to 5 parts peanut butter, or whatever consistency you want) it on the cone. You could get super crazy and tie multiple cones together as well. If you can, try to find the largest pinecones possible and select ones that are completely open. We found ours walking in to swim class at Del State University. Try to collect pinecones as you come across them so that you already have a collection started when the need for an indoor activity arises rather than needing to hunt in the bitter cold with snow on the ground. Oh, and have fun! !